Due to their high strength and advantageous high-temperature properties, tungsten-based alloys are being considered as plasma-facing candidate materials in fusion devices. 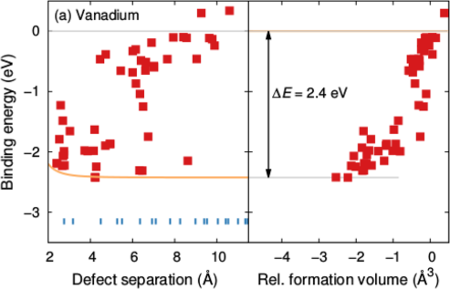 Under neutron irradiation, rhenium, which is produced by nuclear transmutation, has been found to precipitate in elongated precipitates forming thermodynamic intermetallic phases at concentrations well below the solubility limit. Recent measurements have shown that Re precipitation can lead to substantial hardening, which may have a detrimental effect on the fracture toughness of W alloys. 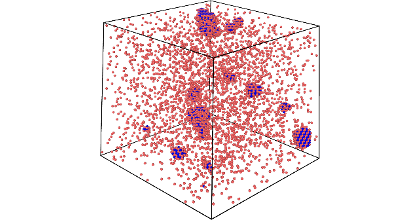 This puzzle of sub-solubility precipitation points to the role played by irradiation induced defects, specifically mixed solute-W interstitials. 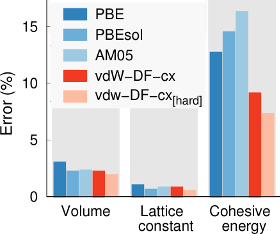 Here, using first-principles calculations based on density functional theory, we study the energetics of mixed interstitial defects in W-Re, W-V, and W-Ti alloys, as well as the heat of mixing for each substitutional solute. 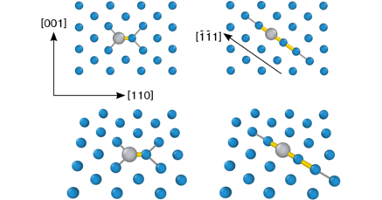 We find that mixed interstitials in all systems are strongly attracted to each other with binding energies of -2.4 to -3.2 eV and form interstitial pairs that are aligned along parallel first-neighbor <111> strings. 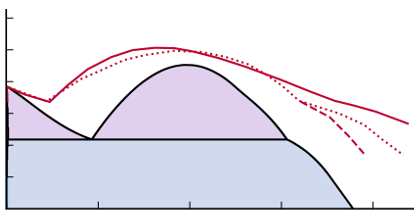 Low barriers for defect translation and rotation enable defect agglomeration and alignment even at moderate temperatures. We propose that these elongated agglomerates of mixed-interstitials may act as precursors for the formation of needle-shaped intermetallic precipitates. This interstitial-based mechanism is not limited to radiation induced segregation and precipitation in W-Re alloys but is also applicable to other body-centered cubic alloys.